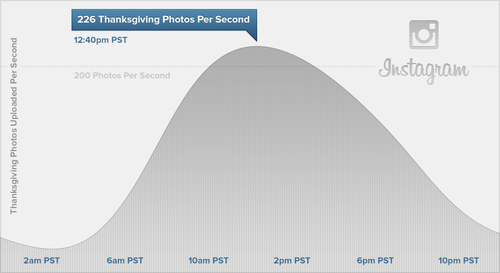 Instagram saw a new record set during Thanksgiving 2012 in the US: 10 million photos shared at a rate of 226 per second during the peak at 12:40PM PST. For several hours on Thursday, its users posted more than 200 photos about the American holiday every second. In fact, the day broke all Instagram records, making it the busiest day for the mobile photo sharing service ever. The Facebook-owned company says it saw the number of shared photos more than double from the day before. The numbers are huge if you remember that Instagram typically sees over 5 million photos uploaded each day, and that Facebook averages about 300 million daily. 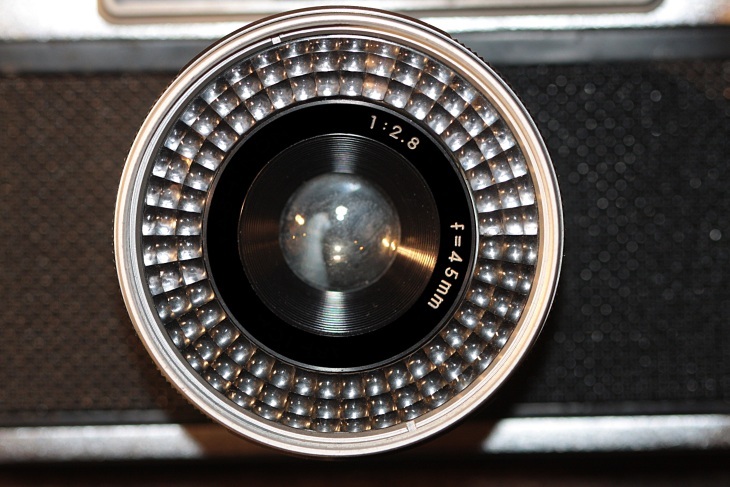 It shows Instagram still has a long way to grow, which is exactly why Facebook bought it. We’re thrilled to see people use Instagram to share their holidays. Whether celebrating with friends and family or sharing photos with them halfway across the globe, we’re excited to see the intimacy and immediacy of the Instagram experience bring us all closer together over this holiday season. In April 2012, Facebook announced its plans to acquire Instagram, but the social networking giant only officially welcomed Instagram into its family in September, right as the app passed the 5 billion photo mark. A week later, the app had over 100 million users, growth which Facebook has helped foster and will undoubtedly push pass the 200 million mark. The biggest changes are yet to come: Instagram is taking huge hints from Facebook in redesigning its profiles as my colleague Harrison Weber details details extensively here. Furthermore, the two are going to get even closer and closer together as Facebook looks to monetize its purchase, as my colleague Ken Yeung explains.